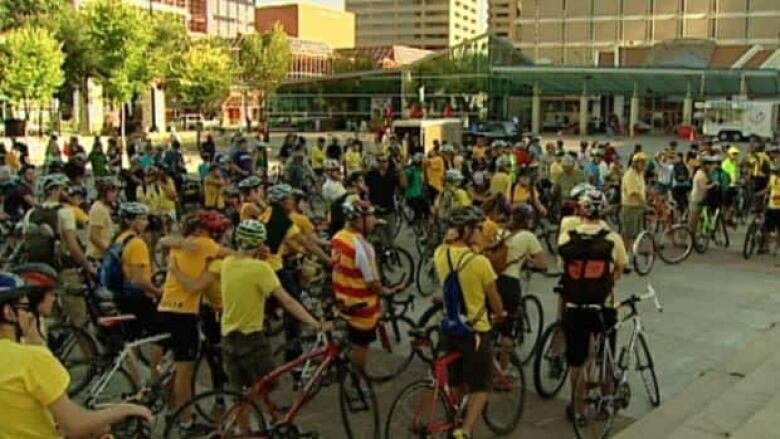 Hundreds of Edmonton cyclists rode from city hall to Whyte Avenue Friday night in honour of Isaak Kornelson, a University of Alberta student killed this week in a cycling accident on the busy avenue. "This was way more people than was expected," said Meghan Brohman, who grew up in the same neighbourhood as Kornelsen. "It's going to create a difference somehow with bike lanes in the city." The ride was in part a memorial for a friend and teammate, but also a call for the city to improve safety for cyclists. Kornelsen, 21, was killed when he tried to dodge a protruding side mirror on a parked vehicle when he fell under the wheels of cement truck. "Our city doesn't have the greatest bike paths and ways for bikers to safely commute," said Jesse Labatiuk, who ran track with Kornelsen at the university. Coun. Ben Henderson, an all-season cycling commuter, agreed the city is not moving fast enough in ensuring cyclists are safe. 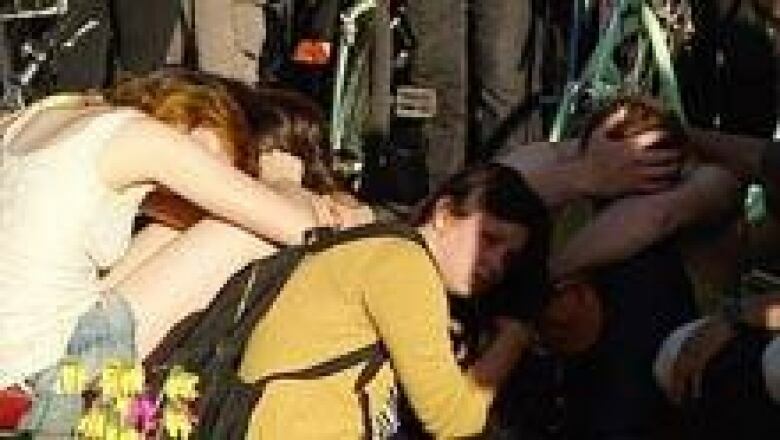 "The interesting irony is the number of bicycles that are on the sidewalks right now because that's the place where they feel safe," he said. "It's not a good solution." The city needs to create space for bicycles that allows pedestrians, cyclists and traffic to be co-exist, he said. "When you see the number of people that are making the choice to bicycle right now, it tells you we're probably way overdue."